Super glue can get you into a sticky situation very quickly. When it is winds up in places where it shouldn't be, you have a mess and no logical way to remove it. Super glue is a concentrated form of glue and is designed to hold firmly with only a few drops of adhesive. Removing super glue can be a super irritation. But it can be removed with a few simple materials and a bit of time. Observe how much of the glue is on your scalp and hair. 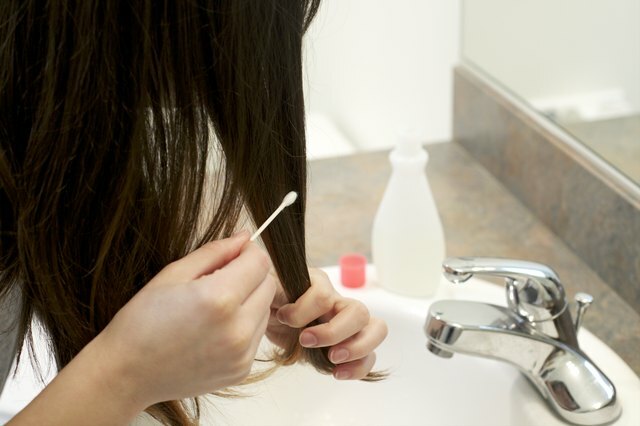 Saturate a cotton ball in the nail-polish remover and apply it to the glue on the scalp closest to the hairline. Allow the remover to completely soak into the super glue. Use a cotton swab to reach the super glue that is farther from the hairline. Saturate the tip of the swap in the nail-polish remover and apply directly to the glue. 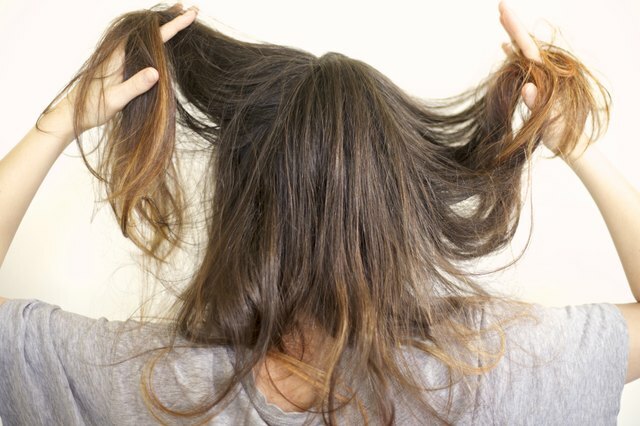 Use cloths to remove the super glue stuck in your hair. Divide longer hair into easy-to-manage sections, if possible. Pour nail-polish remover into a clean white cloth folded in half, and thoroughly saturate the cloth. Take each section of hair and run the cloth over each section. You may need to moisten the cloth several times. If hair is short use a cotton ball saturated in remover and saturate hair one section at a time. 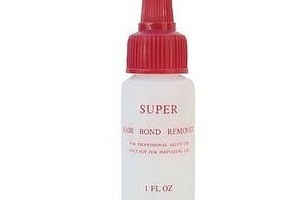 Comb out any dry pieces of super glue remaining after treating your hair with nail-polish remover. 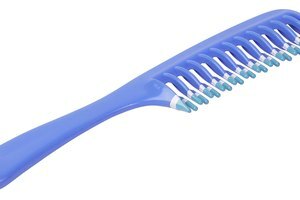 A fine-tooth comb works well, but be careful, as the glue will cause the hair to snag. Peel off any glue that remains in the hair and scalp. Wash and condition your hair. Wash your scalp with soap and water and apply lotion to the hairline. This is necessary because the nail-polish remover will significantly dry out your skin and hair. As with any strong adhesive, follow the manufacturer's guidelines carefully. Be careful with chemicals such as acetone, as they produce powerful fumes and can cause chemical burns and damage certain plastics. If a large amount of super glue has gotten into your hair, consult your medical professional or licensed cosmetologist for removal options. If you ingest any super glue, or any of it gets into a mucous membrane, seek immediate medical assistance.